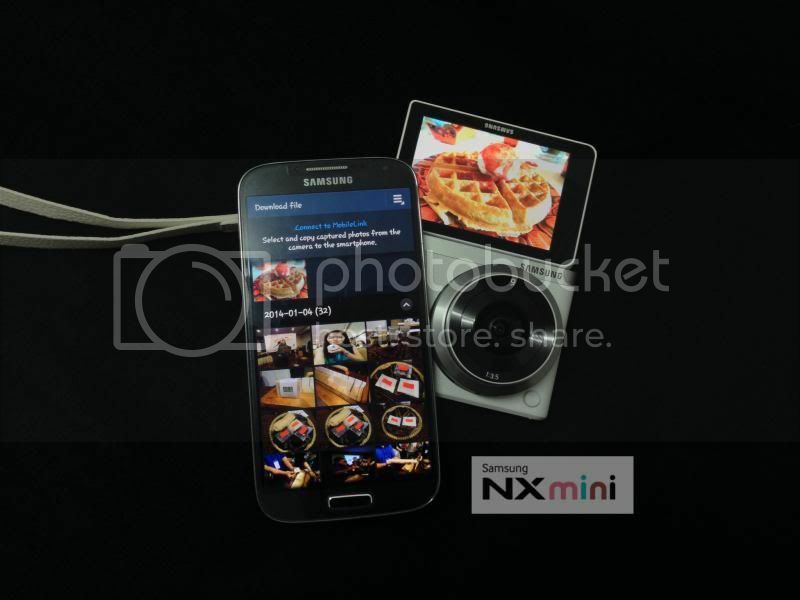 I guess many of you already know that I have the new Samsung NX Mini with me since three weeks ago. By far this is one of my favourite gadgets at this moment. I used to have a camera with me not until it broke down and I borrowed my sister’s to events. Few weeks before I have the NX Mini, my sister’s camera broke down as well and I have yet sent it for repair. Nowadays I am depending on my smartphone to capture photos during events. 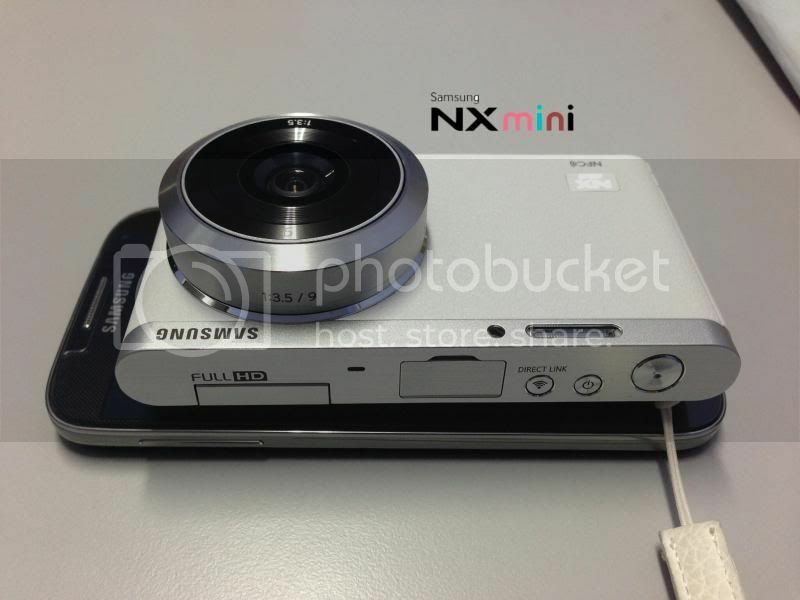 I am glad that Samsung NX Mini came to my rescue when I desperately need a good camera to invest in. 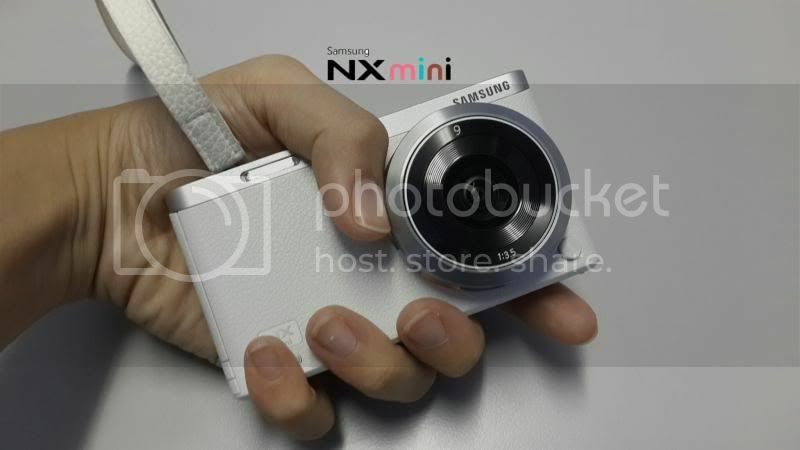 Samsung NX Mini comes in 5 pretty colours which are white, mint green, brown, black and pink. 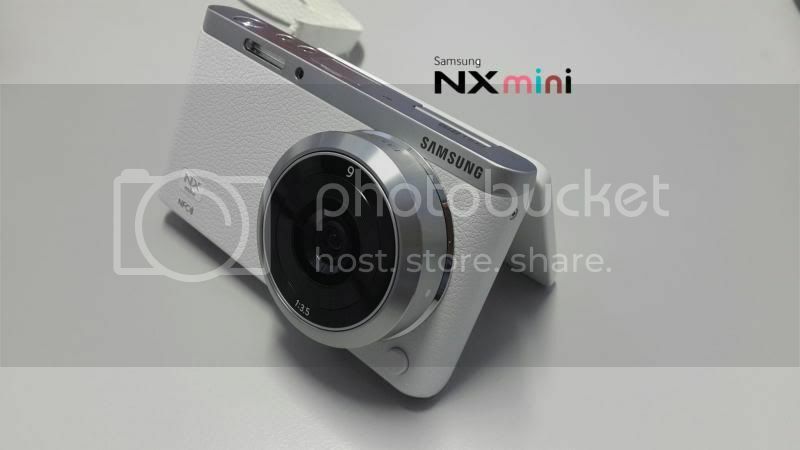 Samsung NX Mini is the world's slimmest and lightest interchangeable lens camera which fits perfectly in your pocket and easily to be gripped with hands. 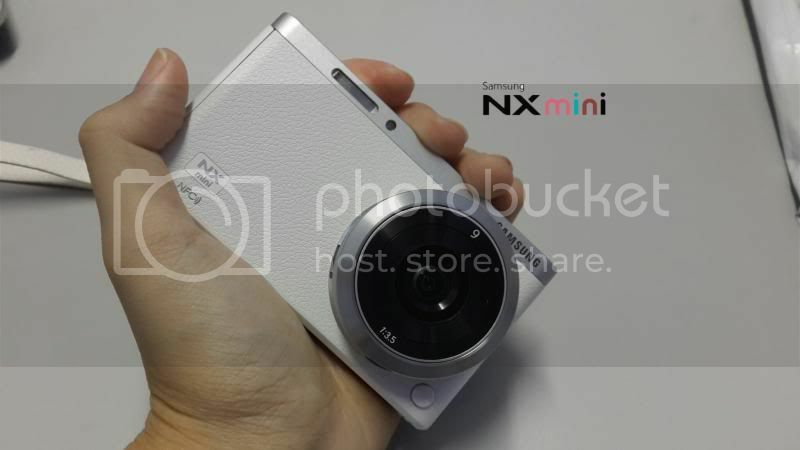 With its compact design, this camera will be the girls' favourite camera as it can capture perfect selfies and landscape photos with just one hand. The body itself is slim and very sleek, making it easy to slip into a pocket. 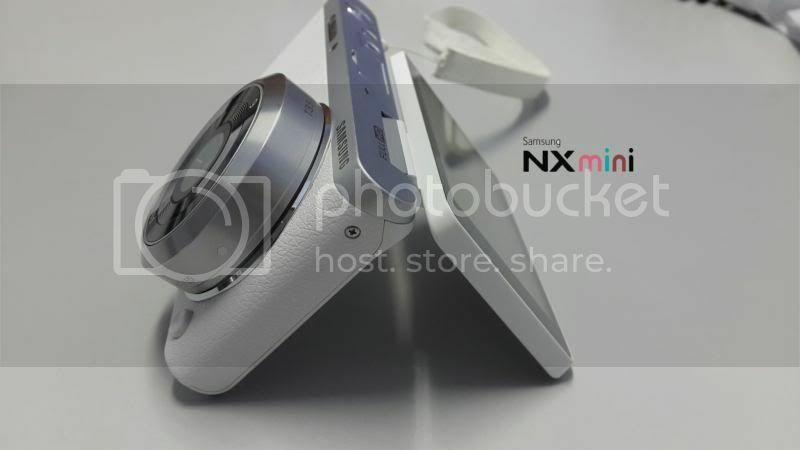 NX Mini has a similar finish to what's used of the back of the Samsung Galaxy Note 3 smartphone. With its leatherette finish, it is suitable for girls like me as it looks stylish and classy to be carried out to parties or events or anywhere. 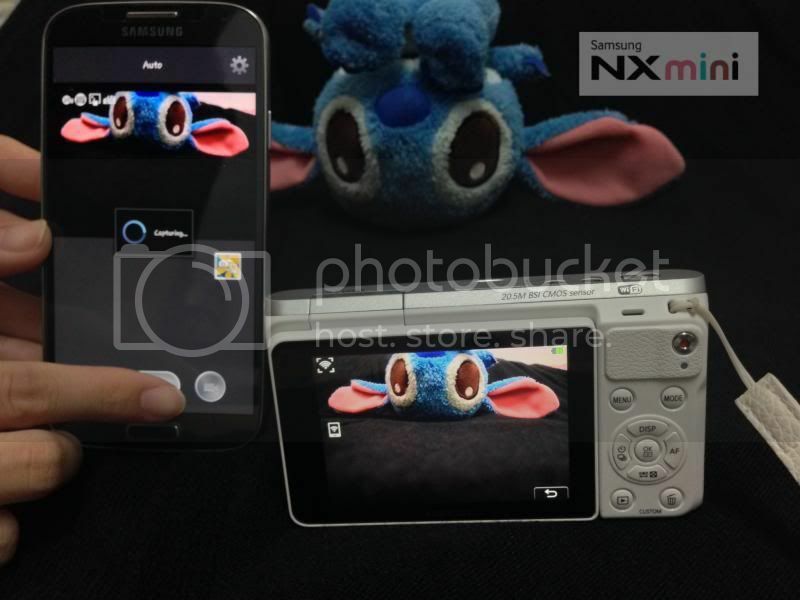 Samsung NX Mini is easy to use with Auto mode, Smart mode and other features to choose from. The camera features NFC amongst many other cool additions. Now with this awesome 3.0 inch flip-up and touch display that rotates 180 degrees, I can get a perfect selfie of myself. Furthermore, the tilting screen also lets you more easily snap shots at lower angles. 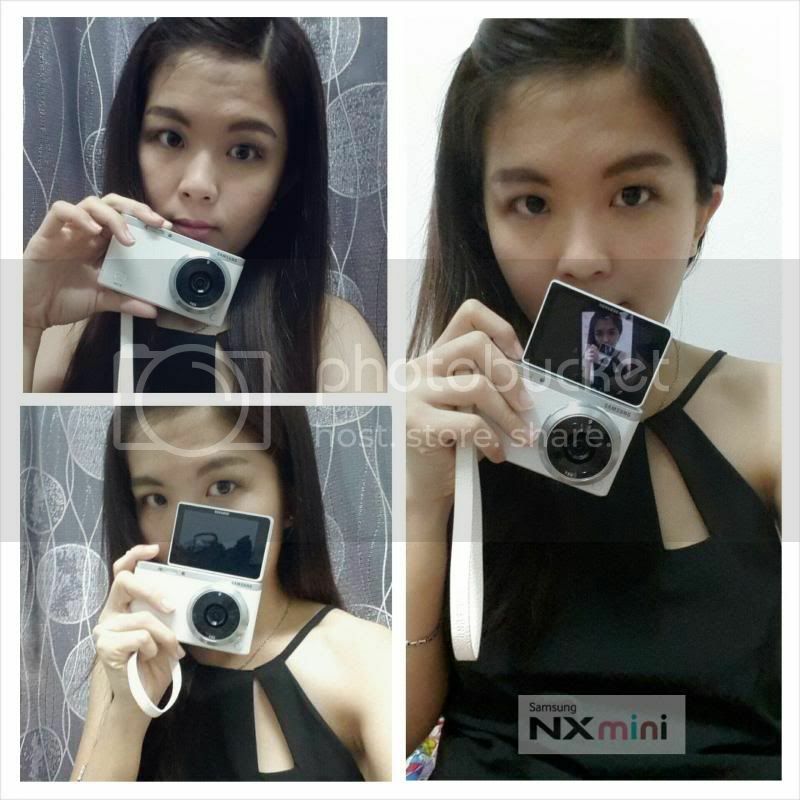 Let's selfie with NX Mini. 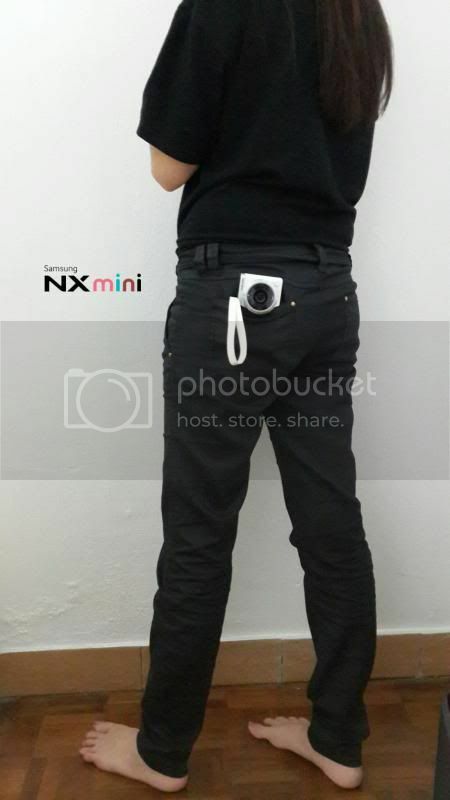 A slim and stylish NX Mini to go with my casual outing bag. I love carrying small bag when it comes to casual outing. 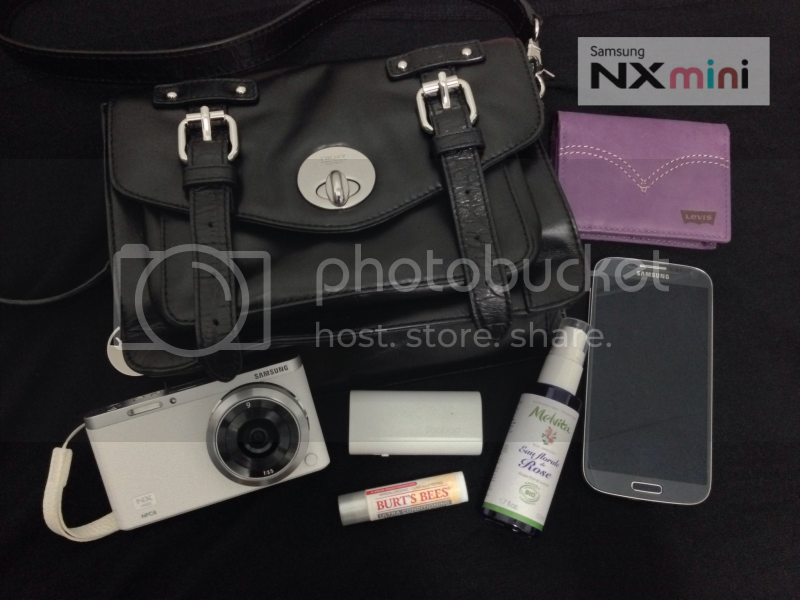 Samsung NX Mini can actually fit in the small bag together with my phone, wallet, power bank and floral water. (: It makes my life so much convenient when I just take out my NX Mini from the bag and capture all my favourite moments immediately. 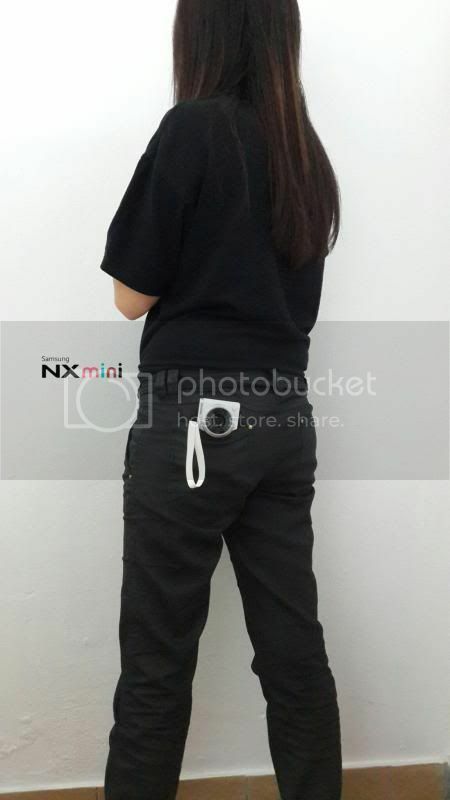 I do not have to go through all the hassles of carrying big camera with me as my NX Mini can fit into the bag perfectly. What's in my DKNY handbag? 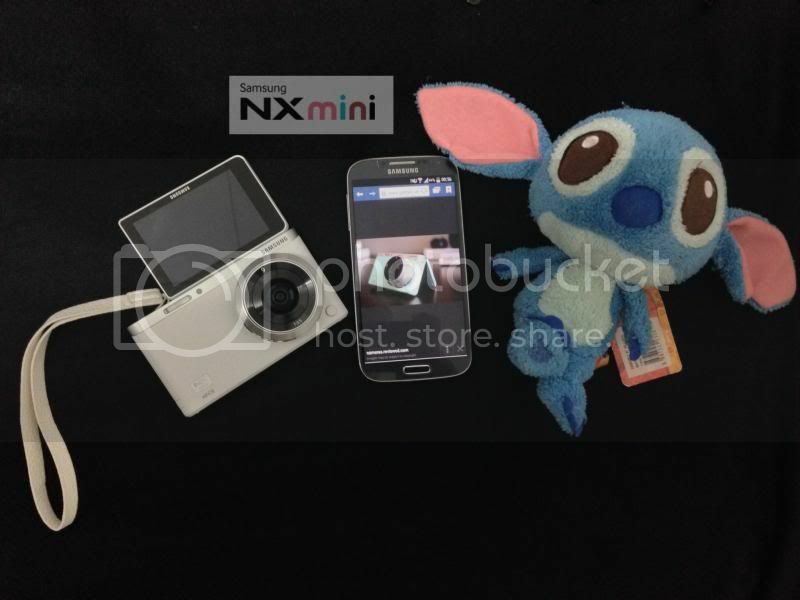 NX Mini can be put in this small bag perfectly! It's smaller than my Samsung Galaxy S4. 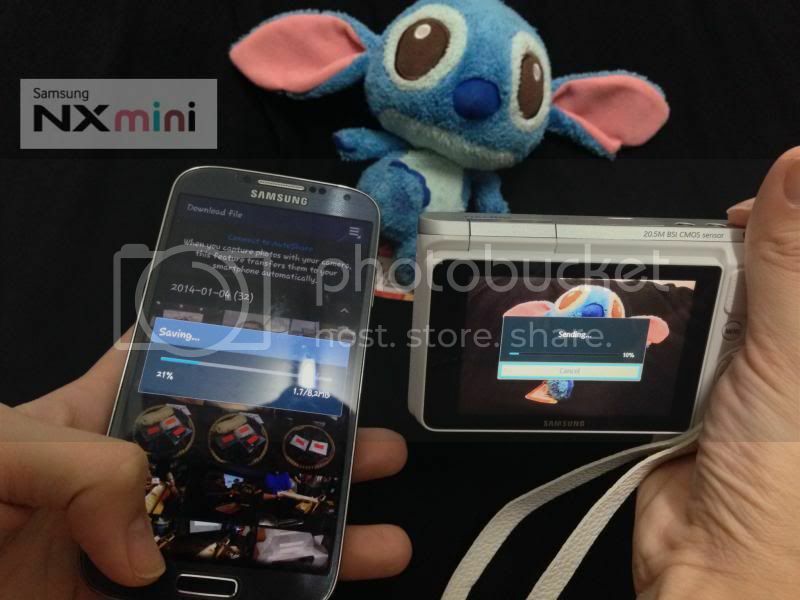 The camera is even smaller than my baby Stitch. Other than that, the remote viewfinder feature adds another plus one point to this camera. I can easily capture this using the smartphone as a remote control to self time the huge group photo. You can also connect your camera to your smartphone while capturing the photos and the photo will be transferred to your phone immediately. It becomes hassle-free and so much convenient. Killing two birds with one stone. 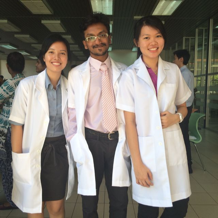 *wide grin* I can upload those photos that are already transferred from the camera in Instagram immediately. Cool right? The new NX Mini comes in white, black, brown, mint green, and pink. Though the mint green and white look very nice, we’d review the hell out of the pink version. Indeed, this seems like the one that may sell the most considering the audience that they’re going after. 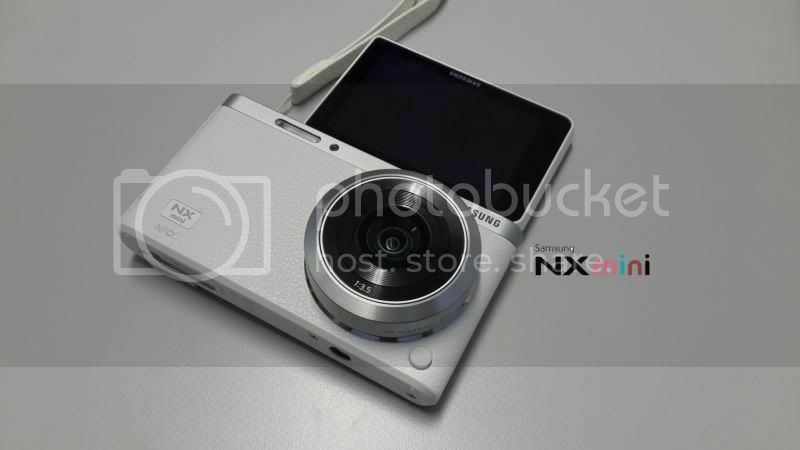 Samsung’s intention with the camera during the design phase was to go after the stylish consumer crowd. Originally, they were targeting it just at women but when they did further research, they found that men also wanted a small, stylish camera. Small is the name of the game with the NX Mini. As you can see from the front of the camera, it’s very devoid of controls with the exception of the lens release button.